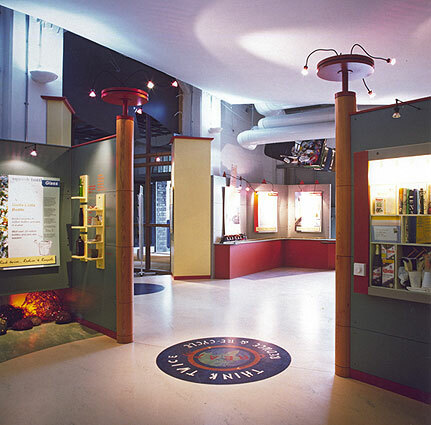 A well designed exhibition display helps to support the specialness of an exhibition and enables the visitors to maximise their enjoyment. Together with the client I'm able to provide special tailor made solutions. Exhibition on recycling working closely with Ferguson Mann the designers to manufacture and install the exhibits, structure and signage for this exhibition. 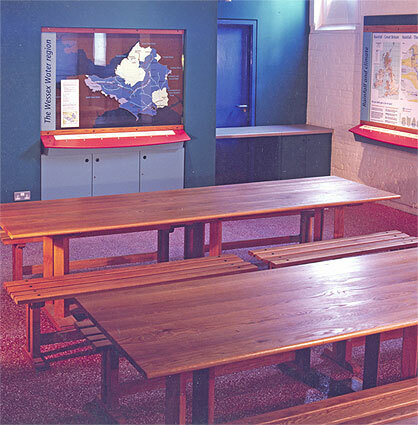 Wessex Water Ashford Education Centre Somerset I designed and made the tables and benches made in American White Oak with an oil finish. Working with the designers made and installed the exhibits.